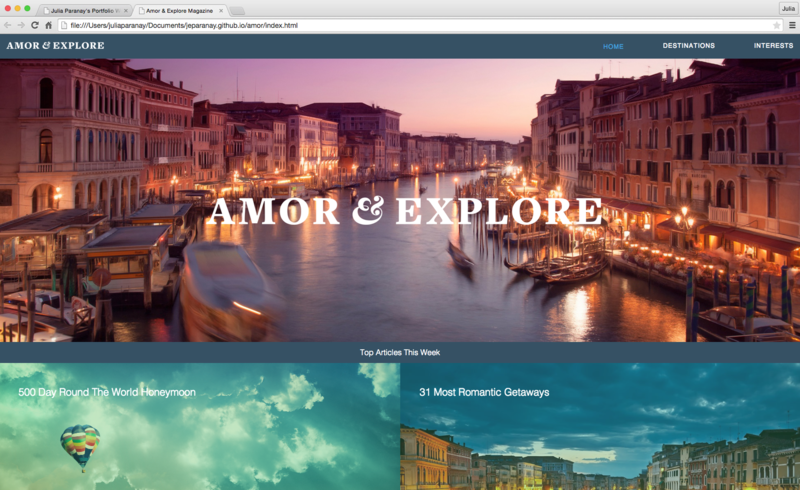 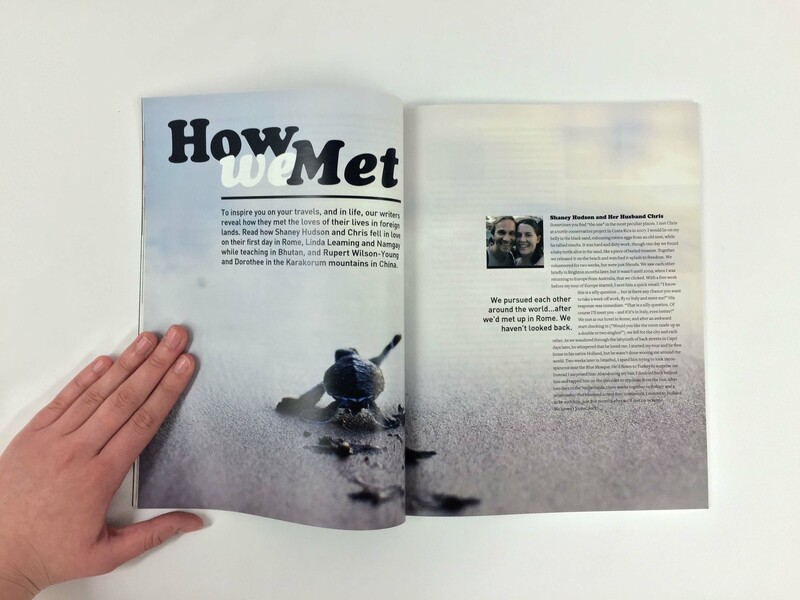 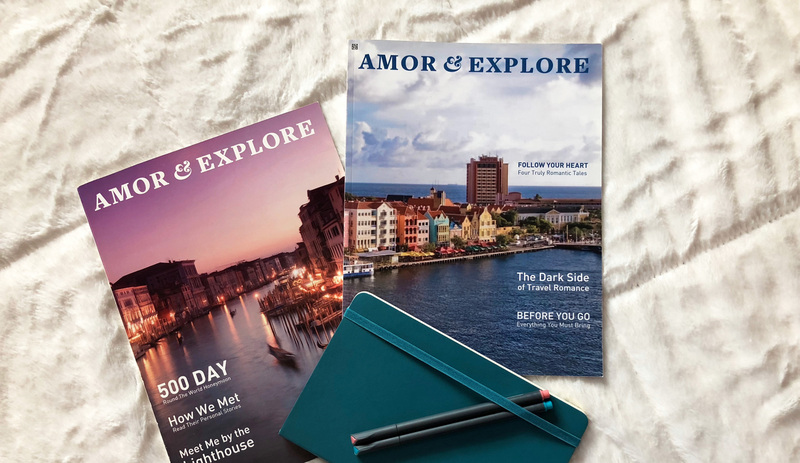 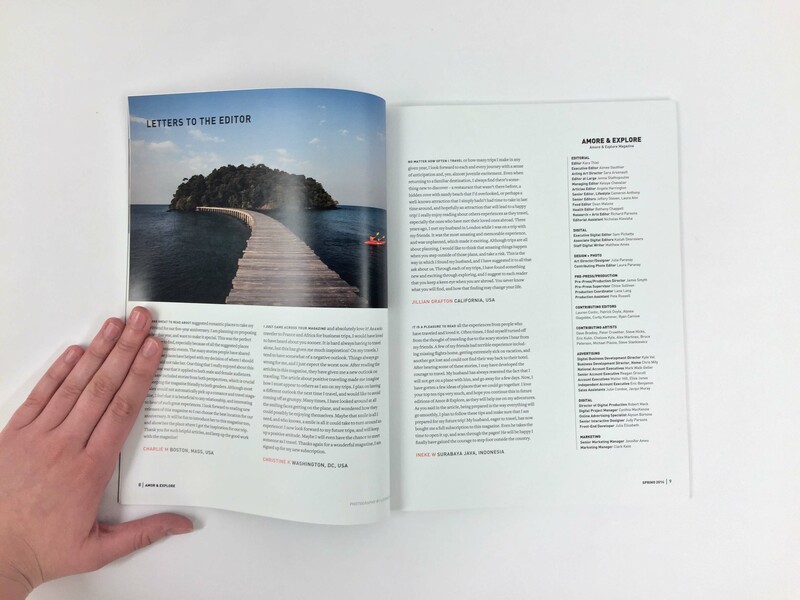 Amor and explore is a romantic travel magazine. 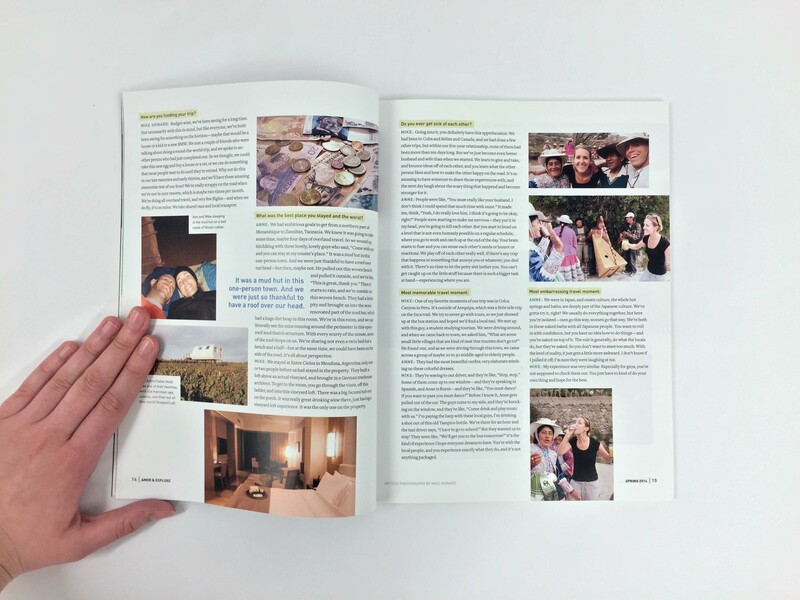 Stories and sections are focused on adventures and benefits of traveling as a couple. 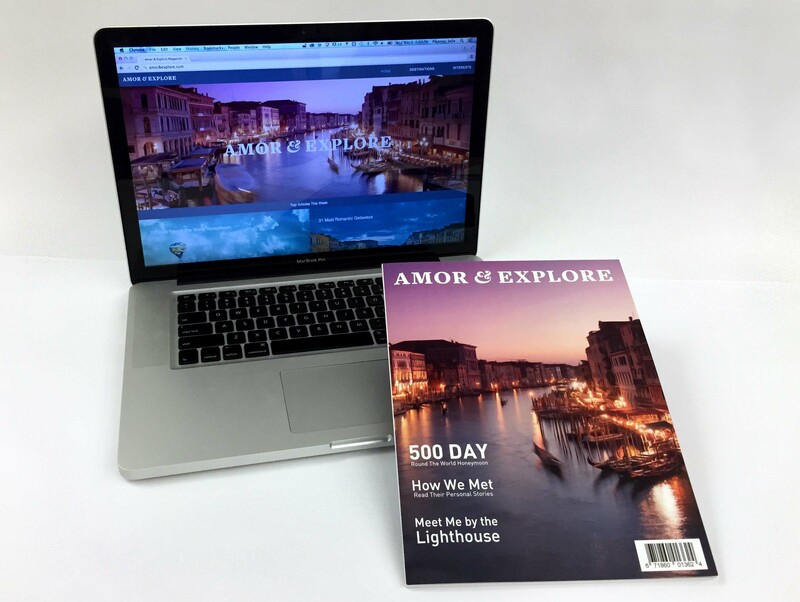 Though it started out as a print piece, Amor & Explore has expanded into a responsive, online magazine. 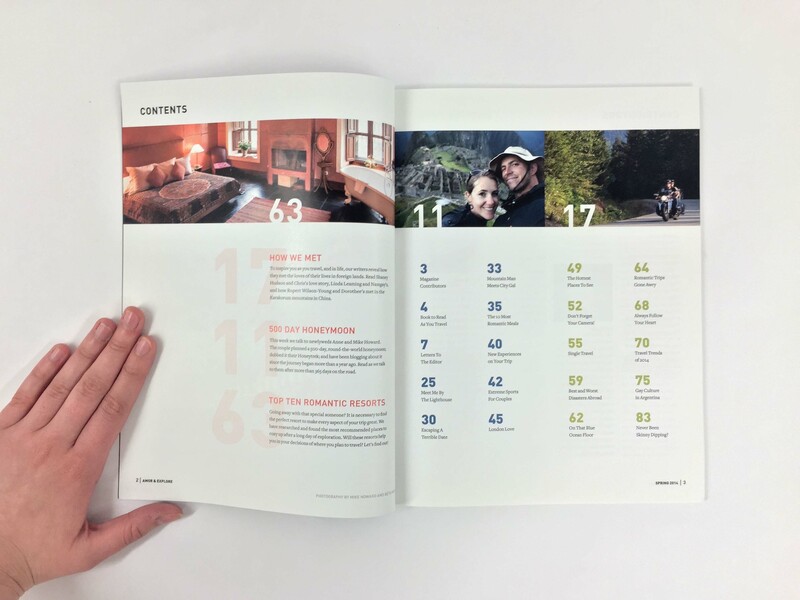 The online version allows the user to access a wider variety of destinations, as well as view popular activities in those areas. 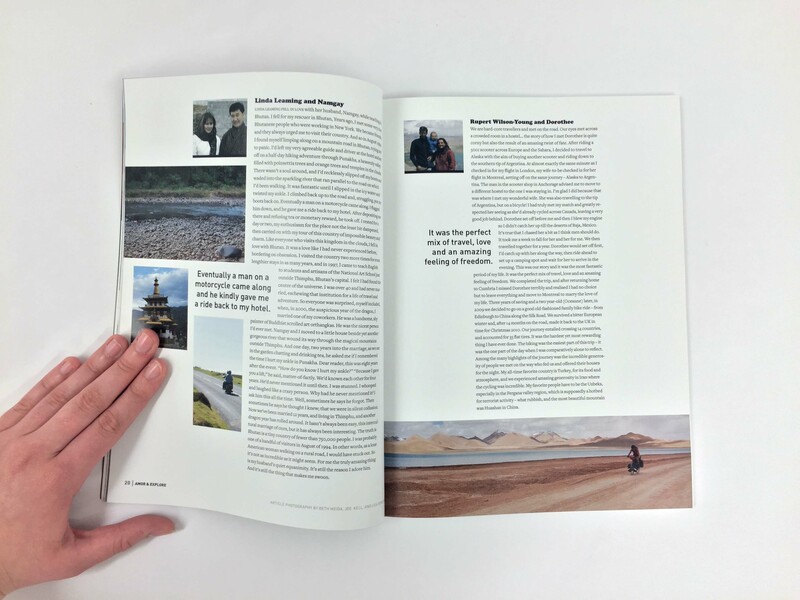 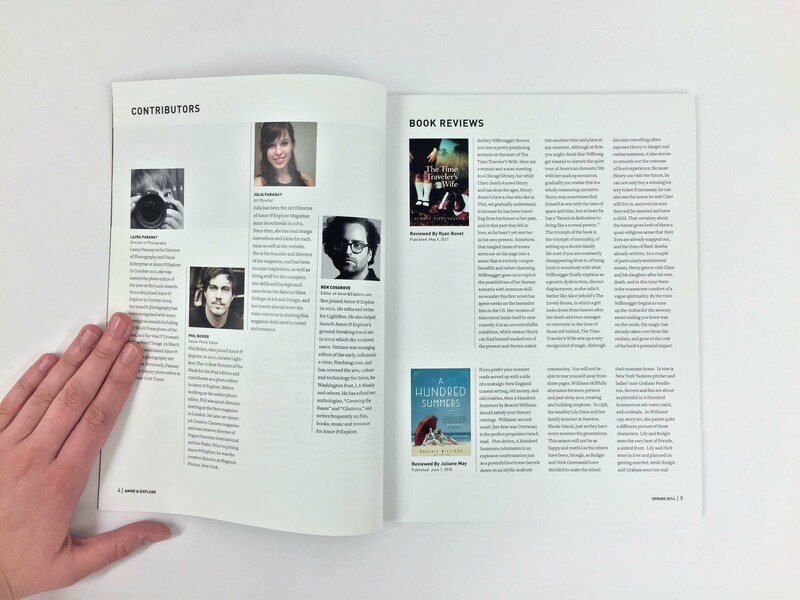 Viewers are encouraged to submit their own stories and personal adventures on the website, as well as in the print magazine.